Google analytics contains a huge amount of data. In general, this data has only be seen as numbers to analyze and understand website traffic. But, in reality, the data you see in your google analytics account is more than just numbers. You can use this data to retarget all those visitors who once visited your site. You can track them wherever they are on the internet and get them back to make them your long-term customers. Below, I have explained how google analytics data can be used to create a more targeted audience to use for a Adwords remarketing. Remarketing can be thought of the next level of marketing. It is used to remarket your products/content to users who visited your site previously. Adwords remarketing is done via display ads on websites which are part of Google Display Network or for the search terms related to your services/products on Google. Why Google Analytics Data Is So Important? Google analytics contains data from the day you configured it with your website. It is important because from that data you can understand the behavior of your visitors. The type of products they view and the kind of actions they perform. Based on this data, you can segment these visitors and target them specifically with the type of content they viewed. How to Use Google Analytics Data For Adwords Remarketing? Behavior-based remarketing is a kind of special thing. This allows you to create an audience based on the behavior they showed on your site. For example, you can create an audience for users who viewed your products or users who left your site without submitting the newsletter form. Based on the audience you created, you can retarget all these users via ads and get them back to your site to finish purchase or read more content. Following are the prerequisites for behavior based adwords remarketing. Step#1: select the admin tab from the top navigation menu in your analytics account. Step#2: Under the property column, navigate to audience definitions and then click on Audiences. Step#3: Inside the audience tab, click on the new audience button, link your analytics view and Adwords account. Step#4: Click next step. Now in the audience section, you can either select the recommended audience, create a new audience or import any segment. We will create two different types of audience to understand the importance of behavior based marketing. You will have to first setup a goal for users who completed the form submissions. Continuing from step#4. Step#6: we will create an advanced segment, follow as shown in the below image. Only include users who viewed the contact us page. Select page as the contact us (your contact us page may have different url). Select the goal which you created earlier, in this case, newsletter form submission per user should be equal to 0. Step#7: Enter the audience name and click on the save button. To do this you will have to set up a goal for users who left the conversion funnel just after adding a product to cart. Now we will create an audience for the users who left conversion funnel after adding to cart. Step#5: Continuing on from step#4 above, click on the create new button. Step#6: Inside the audience builder window, it is basically creating new segment. Create a conditional segment and do as shown in the below photo. We are applying a filter on user level so select users from the drop-down. Select include to only exclude the specified users. Select the goal which you created earlier for the users who left conversion funnel after adding to cart. Select unique purchases to be equal to 0. Step#7: Click apply button to save the audience. Next, configure the audience. An estimation of users from the last seven days. The number of days user will stay in this audience. You can select any number between 1 and 540. Specifies the time frame for evaluating the behavior that qualifies users for your audience. Step#8: Enter the audience name and click on the save button. So far you have learned with two examples about creating an audience based on the behavior they show on your site. You can change the above two examples and create any kind of audience you want. Hopefully, you have understood using google analytics data for Adwords remarketing. 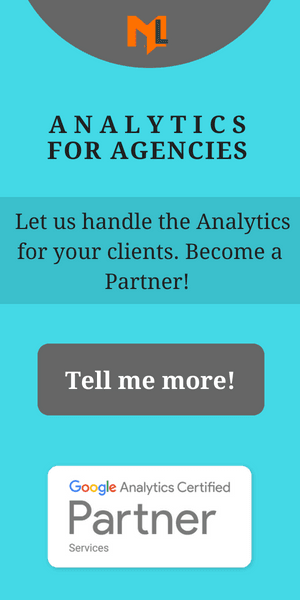 Please follow us on Twitter to get more tips about using google analytics data.